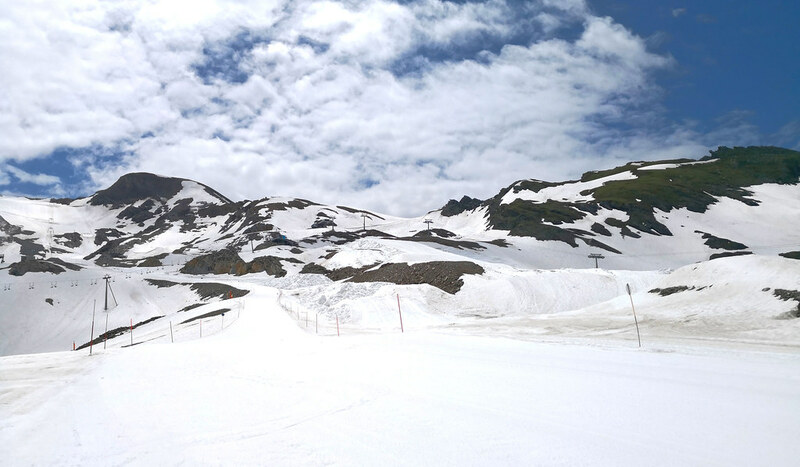 What is notable about Kitzsteinhorn is that this ski resort closes fairly late to the season and reopens during the summer for glacier skiing, before re-opening again in late August. 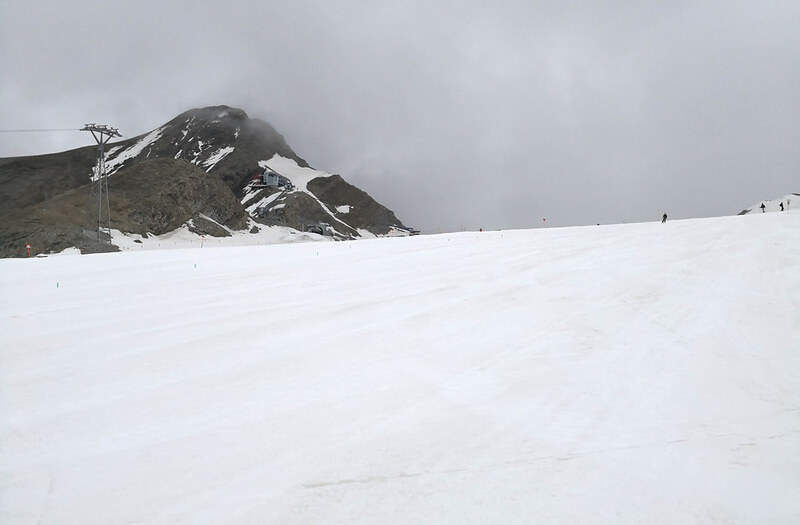 Since not all the piste and cable cars are open during glacier skiing, this will be a more concise skiing review specifically for the summer glacier skiing. 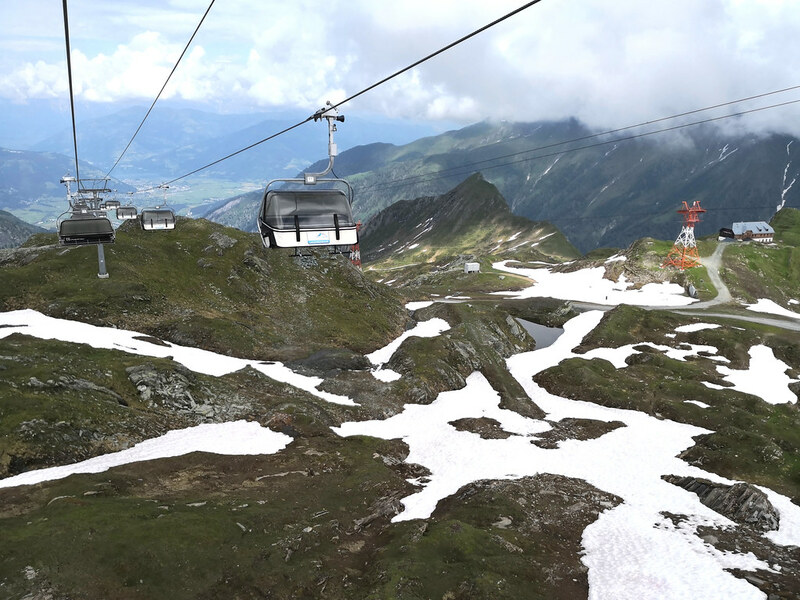 Unlike many ski resorts, there are no ski-in/ski-out here as the base of the gondola is near the town of Kaprun, which is in turn next to Zell am See. 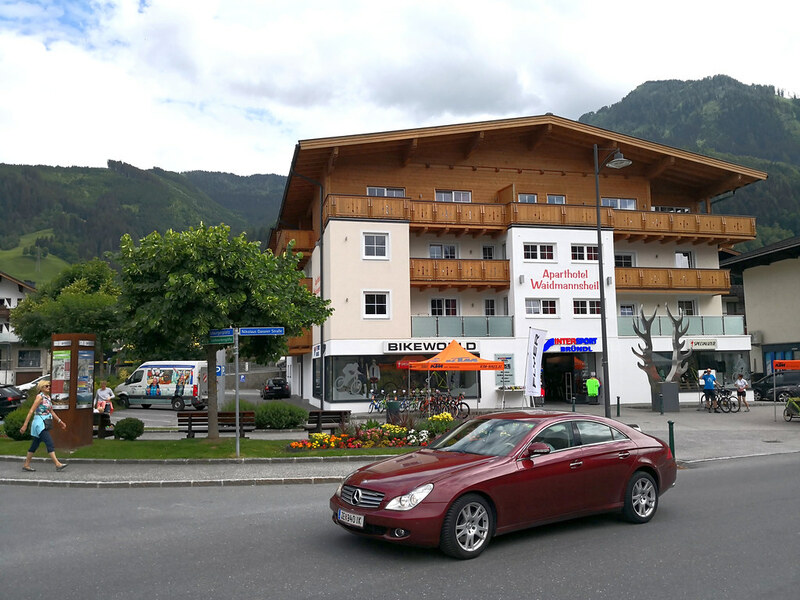 That meant getting to the base of the Kitzsteinhorn ski area took me just around 20 minutes by car from Zell am See. From the base station at the valley floor, skiers take the Panoramabahn cable car to reach the lower mountain Langwied base (at 1,976m) which has a ski school facility, rental outlets for ski and snowboard gear and a restaurant. 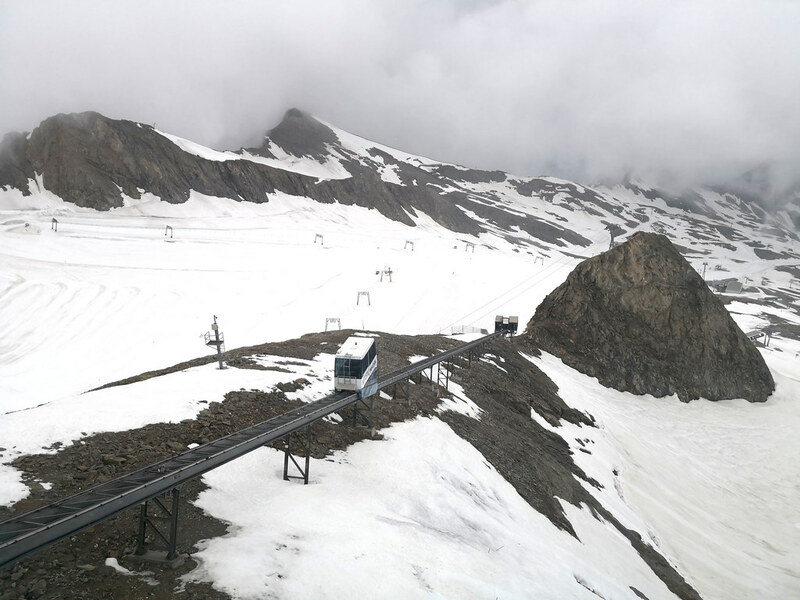 Then they transfer to the Langwiedbahn chairlift to get to the base for summer time glacier skiing. During the winter season it is possible to ski down to this sector at most, with all skiers downloading back to the base via the Panoramabahn cable car. 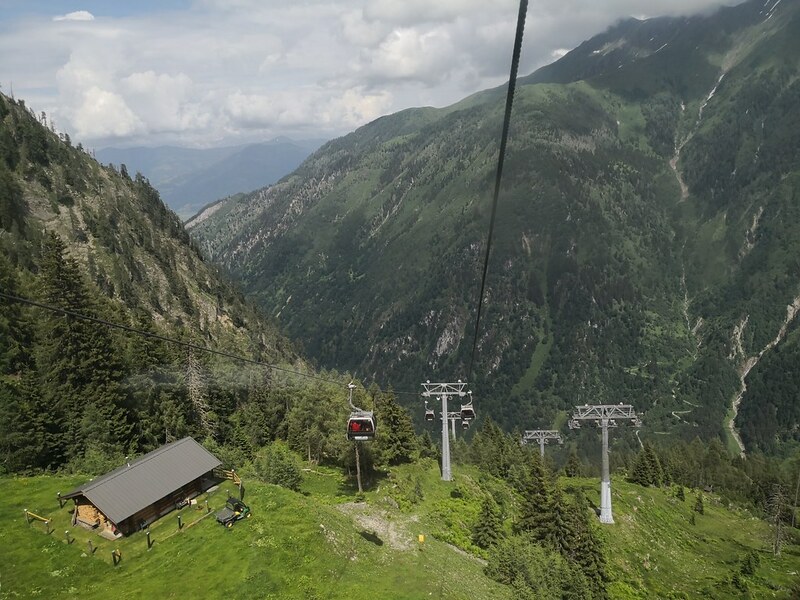 There is another cable car system called Gletscherjet I and II that leads from the valley floor up to the Alpincenter (at 2,450m) though this was closed during the summer season. 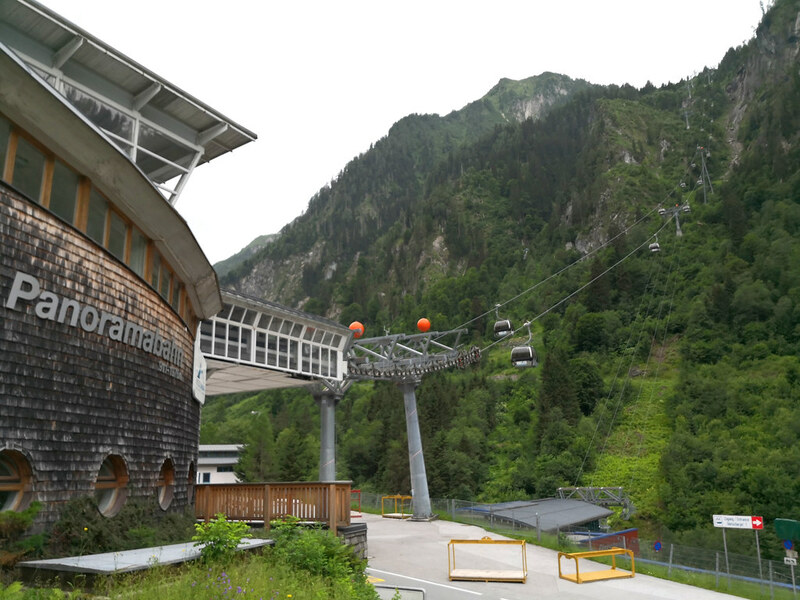 From the Alpincenter, skiers and visitors can take the Gipfelbahn aerial tram up to the Gipfelwelt 3000 where there are shows and exhibits along with a mountain top restaurant. 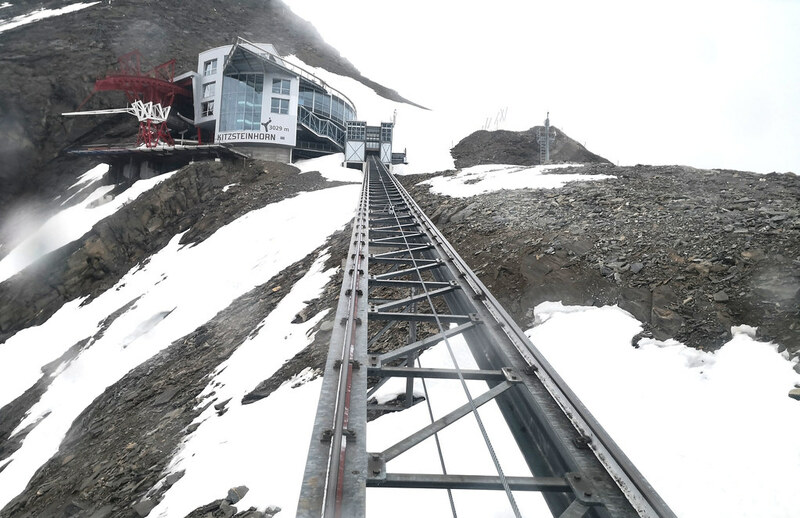 Expert skiers can ski down from here during the winter season though most skiers would need to take the funicular railway Gletscher-shuttle to get to the pistes. As you may notice it sure takes a bit of an effort to get up here for glacier skiing in the summer. At the glacer itself, the lifts operating for glacier skiing are all tow bar lifts, with the closest one being Magnetköpfllift, which is a short lift for beginners to get the feel of skiing on a glacier. 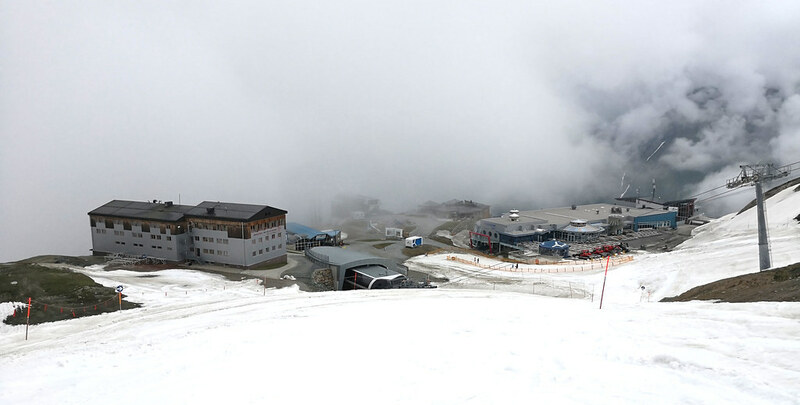 Another short T-bar that might be open is Schneehasenlift. Though the main T-bars for glacier skiing is the Kitzlift I and II which runs in parallel allowing more skiers to upload at the same time. 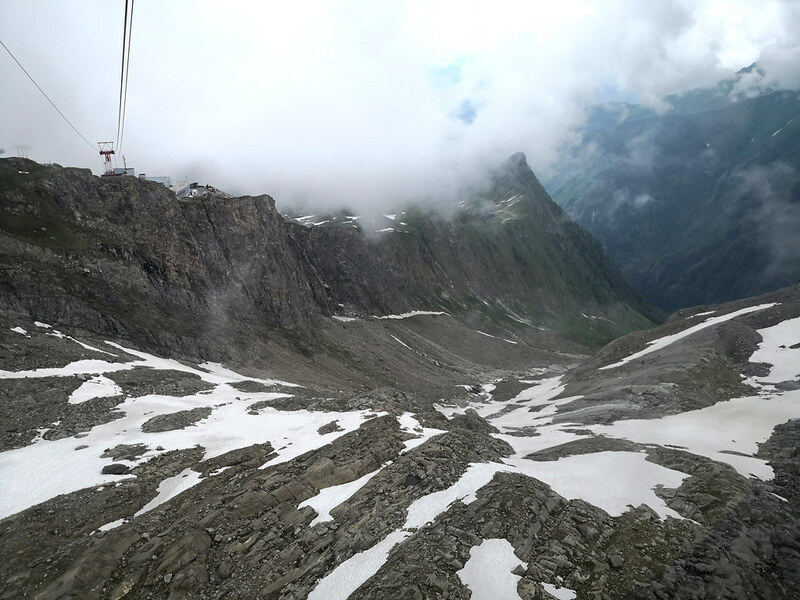 The Gletscherjet 3 and 4 cable cable car that serves the glacier was not operating when I visited though it would be open during the winter season. This would prevent skiers from heading up the tram with non-skiers who are at the mountain to visit the exhibits. For this glacier skiing experience, the day pass starting from 11:30am costs EUR 45 (~$51) and this was definitely expensive considering how little of the area is open. For a full day, ski passes costs EUR 50. 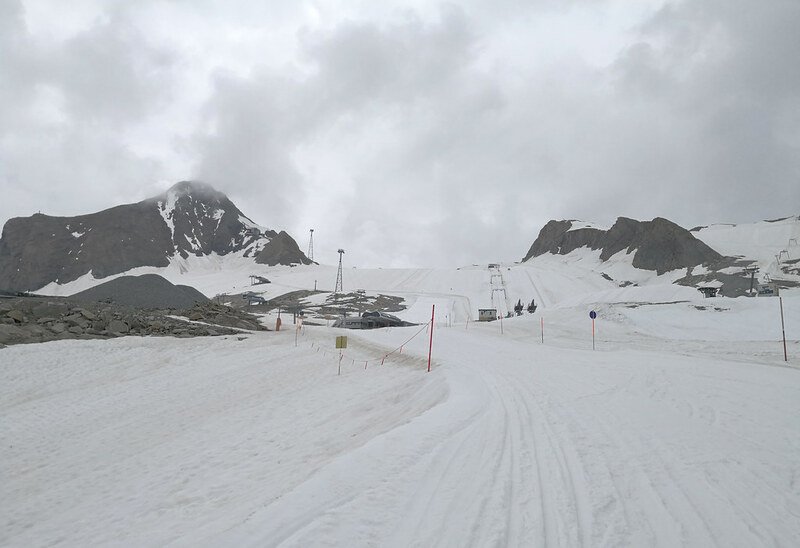 In the winter season, the passes were slightly more expensive at EUR 53 per day. For a medium sized ski resort, the cost was definitely on the high side compared to other larger ski areas I have been to in Europe. As I mentioned earlier, the only area for skiing is mainly in the glacier served by the 2 T-bars. Thus there is no chairlifts and other means of ascent. Snowboarders not used to the T-bars might have some difficulty in skiing here during the summer. 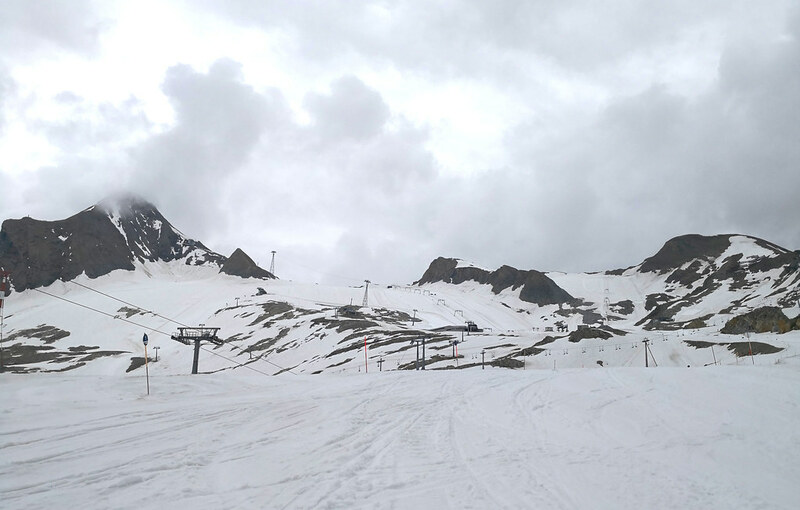 The glacier skiing area open during the summer is basically the triangular portion at the top of the map. 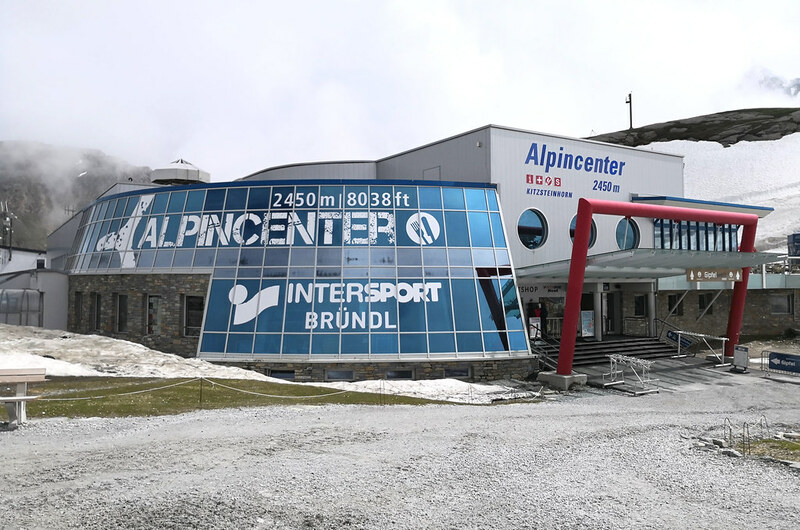 It is possible to ski all the way down to the Alpincenter base and then take the tram back up to the top but it does take some time and the snow coverage closer to the Alpincenter is not that great. On the topic of snow, the glacier is icy as expected but the slightly warmer weather did make the ice soft. 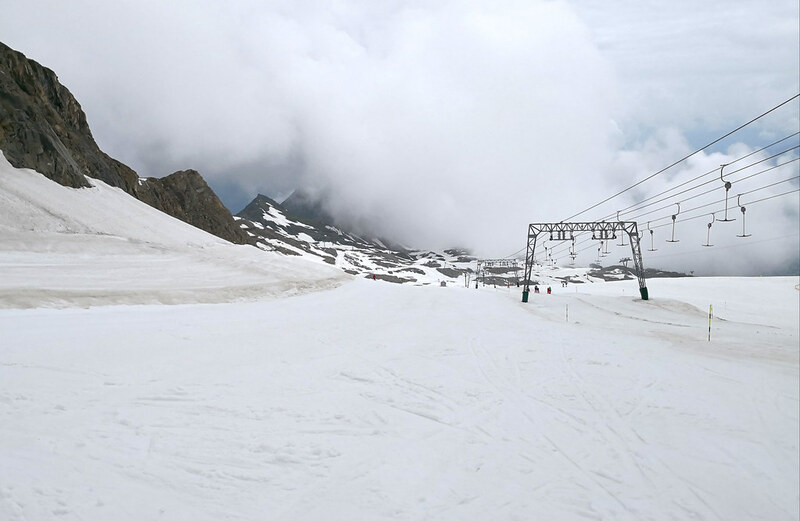 From the photos it might look a tad disappointing but for skiing in the summer, this is as good as it gets. A treat for skiers is that there is no queues at all when I visited even on a weekend but there was a handful of other skiers including some really good skiers just getting some runs in while they can. 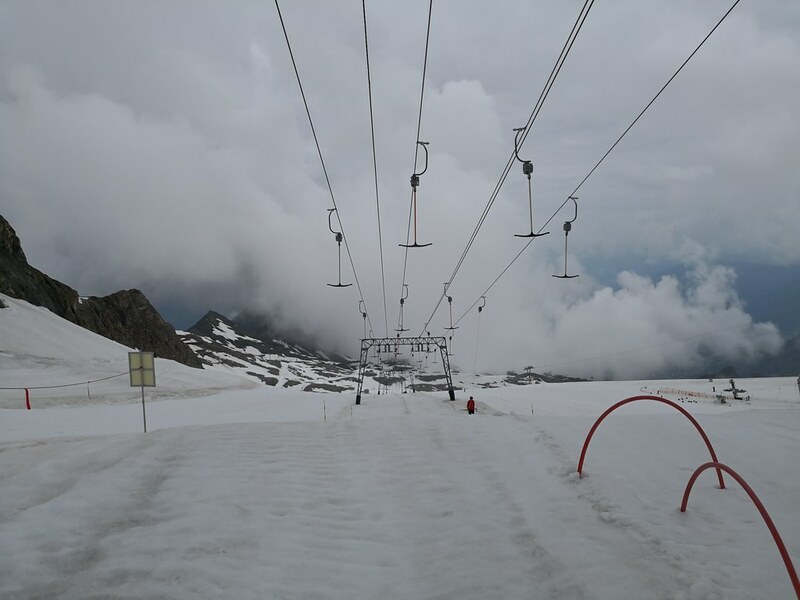 While the upper part of the glacier is not that steep, the lower portion of the Kitzlift can be a bit tricky due to the icy conditions and some snow run-off. Skiing in these conditions can be a great experience for the intermediate skiers or even more accomplished beginners as it will allow them to experience a different snow condition. 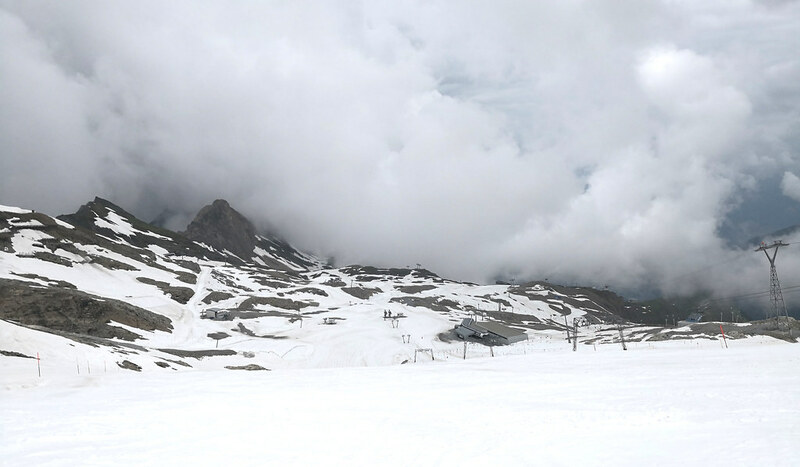 Normally, most skiers would spend just a couple of hours on the piste in the summer since there is just that limited runs to go through before one gets bored and call it a day, thus the feeling is more relaxed and with no crowds, skiers can take the time to hone their skills on the downhill ride. Without any need to rush for the first on the piste, skiers could easily get the pass after 11am which would be cheaper and allow the snow surface to be softer. 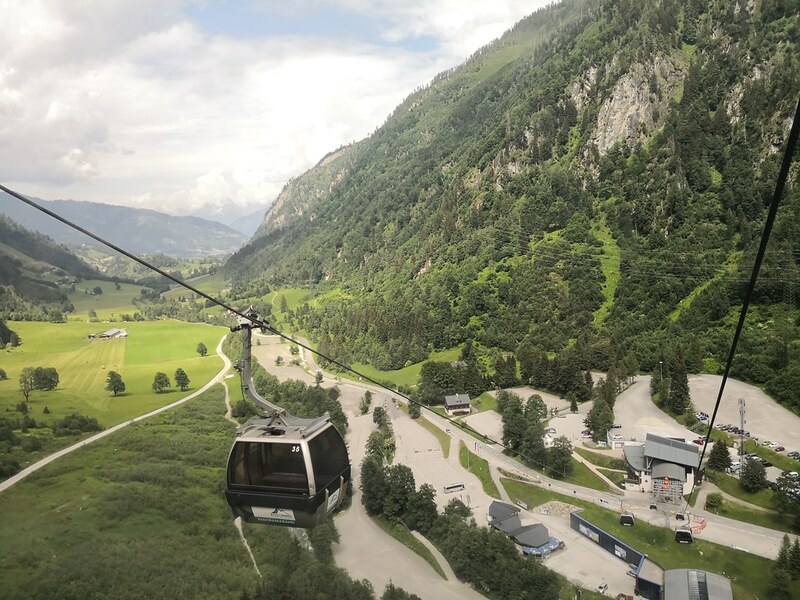 The largest lodge or base station is the Alpincenter which is where the Langweidbahn chairlift, Gletscherjet cable cars and the Gipfelbahn aerial tram all meet. 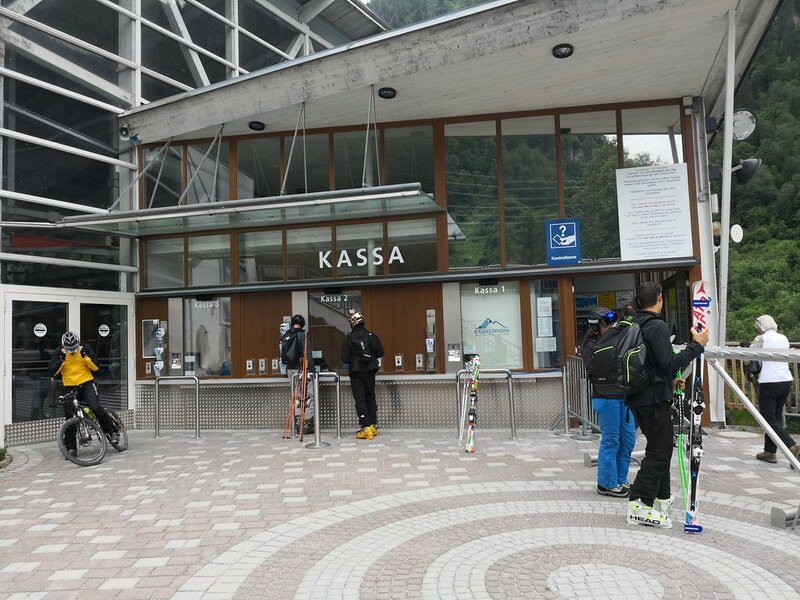 This large mountain station has an information kiosk, restaurants, restrooms, ski schools, rental outlets and shops for both skiers and visitors alike. 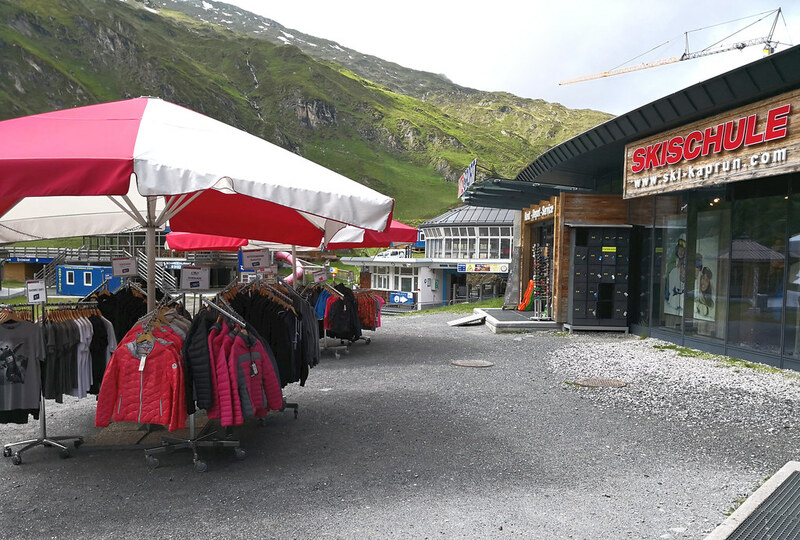 I was able to rent my gear here for the summer season since it is easier to return them here before downloading on the Langweidbahn chairlift. Aside from this lodge, there is another Intersport outlet called Kitz Sport at the Langweid base. While the Langweid base has the Häuslalm restaurant, it was closed during the summer season. 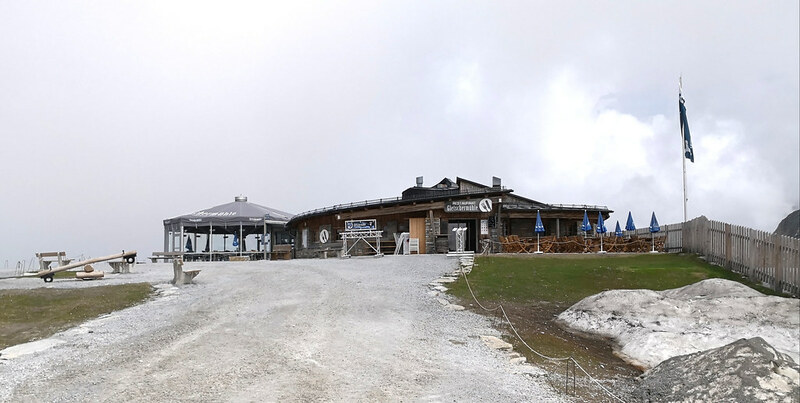 The other lodge alternative where skiers can find a space to take is break is the top of the Gipfelbahn where there are ski racks, restrooms and the Gipfel mountain top restaurant. 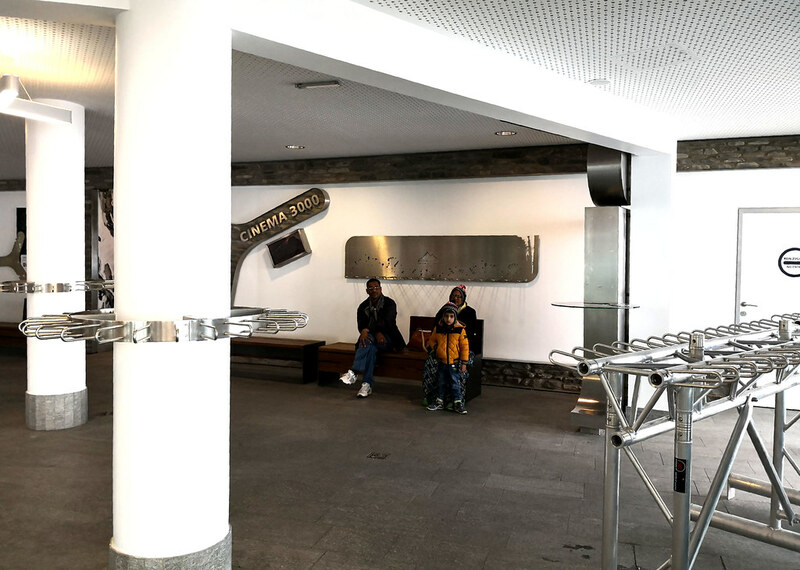 There are 2 dining venues for skiers needing some food and beverage here and the Gletschermühle restaurant is at the Alpincenter, while the Gipfel restaurant is at the summit, accessible using the Gipfelbahn aerial tram. Most skiers heading to do some glacier skiing would probably not dine here since they can easily get more choices back in the town of Kaprun. Thus I would omit this section since I did not try out any food in the mountaintop. 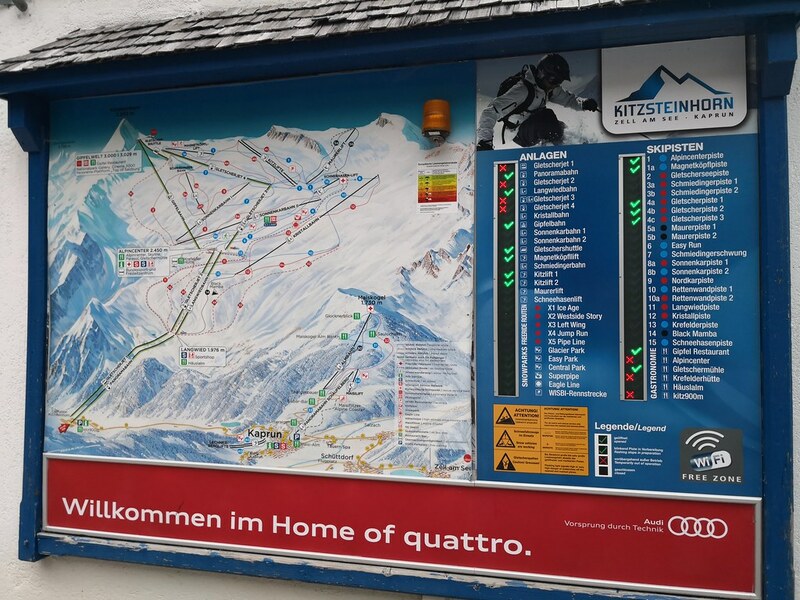 Unlike many ski resorts with a village at the base, Kitzsteinhorn has no ski-in/ski-out accommodations. Instead skiers stay at either Kaprun or Zell am See and either drive to the base of Panoramabahn or take the local bus. It is only a short drive to either towns and from Kaprun, it takes only about 5-10 minutes by car. 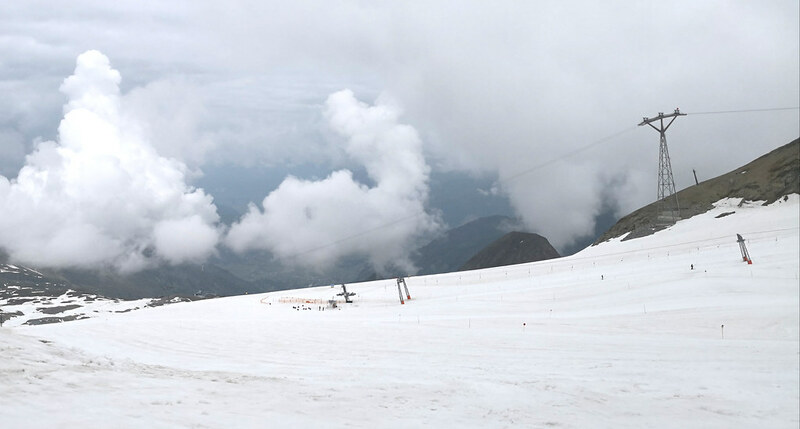 With receding glaciers and sometimes erratic snowfall in many ski resorts, the ability to ski in the months of June, July and August in the Northern Hemisphere is considered a treat. As an avid skier, the one day I spent in Kitzsteinhorn to feel the alpine breeze while doing some turns was very much worth it until winter comes around again. It was also because I was in Europe already that I passed by to make the trip here to experience glacier skiing. Otherwise, I would not really make a trip just for this. After all being based in the tropics, I could always head to the Southern hemisphere in June/July/August to experience a real winter!